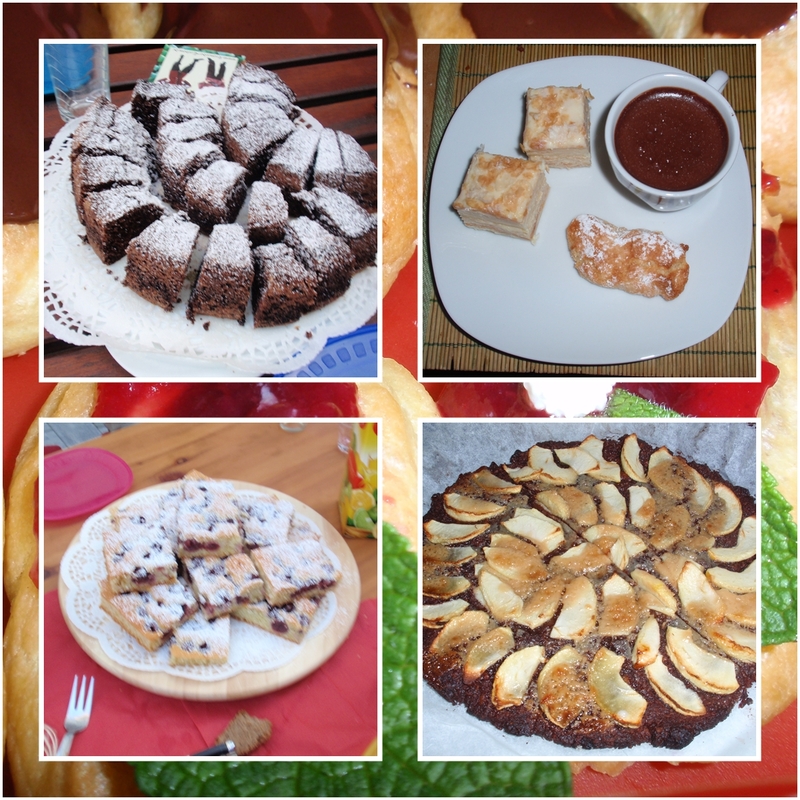 Tatjana sent me some pictures of sweets and cakes she made. 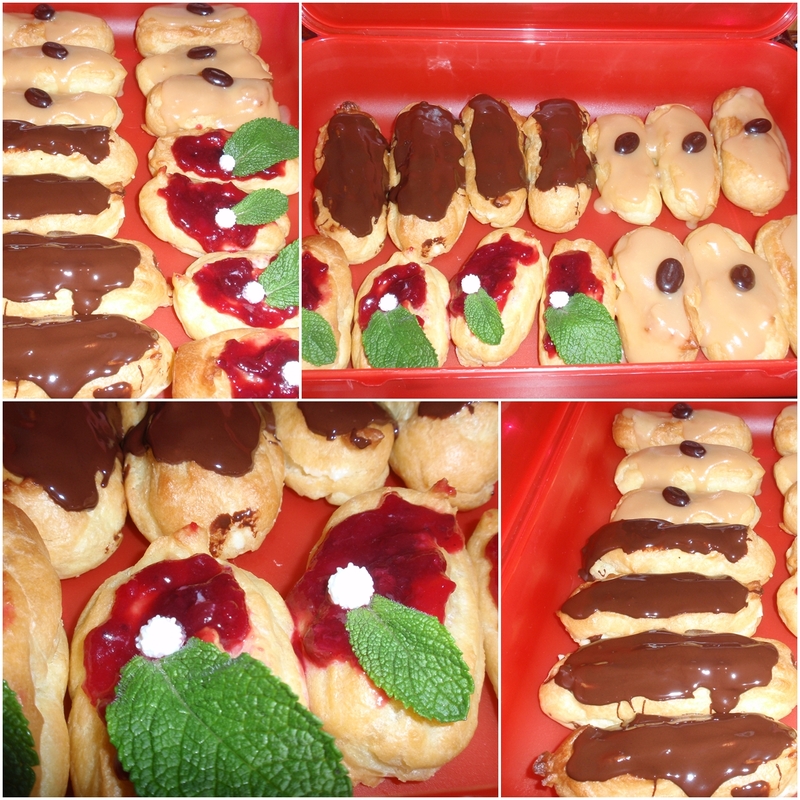 As you can see on the first collage, this are different kind of écclair: chocolate éclair with crème légère, caramel éclair with coffee creme and fruit éclairs with mint. On the second collage from upper left: brownies with red wine; upper right: sweets à la Napoléon + pasta di Mandorla + mousse au chocolat, below left: cherry cake; below right: cherry cake with apple bars. As you can see, Tatjana was going very French and international. Welcome to our small Europe.